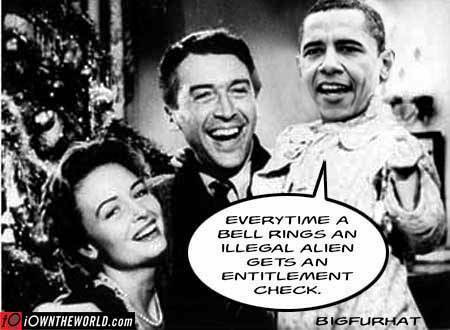 Next Career Move for President Obama: Becoming a Movie Star! Most people know that Ronald Reagan was an actor before he became a great President. So I guess it makes sense for Barack Obama to do the same thing, but in reverse. He’s starting as a bad President, but then will become a Hollywood star. Some clever person already has put together some potential starring roles. 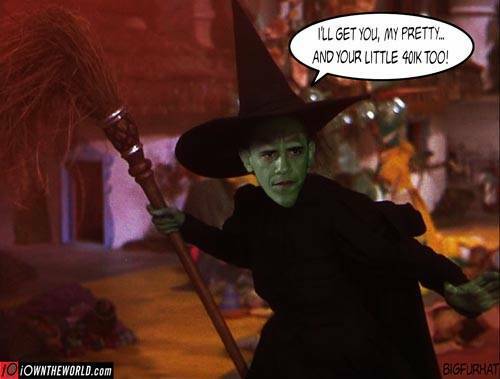 Let’s start with the Wizard of Oz, with some updated dialogue that captures the President’s approach to tax policy. And here’s another classic, Gone with the Wind, but updated to show how the President doesn’t care that his policies will accelerate America’s slide to European-style stagnation. There’s also a starring role for the President in a remake of the Godfather, which seems appropriate given his Chicago roots and support for cronyism. 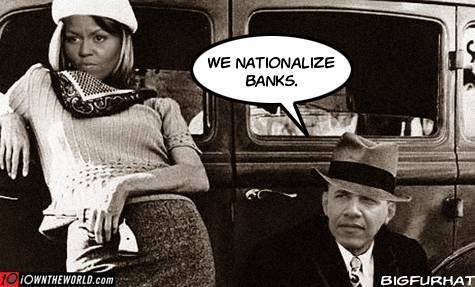 Bonnie and Clyde is another option, though this one is unfair. 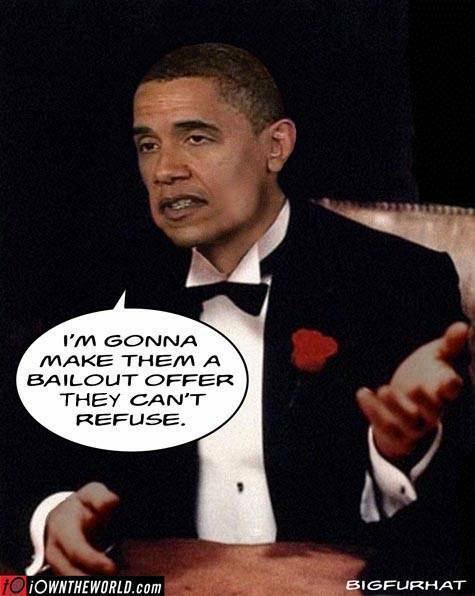 Obama supports TARP, which means he wants to rob taxpayers to subsidize banks. Last but not least, we have a new version of “It’s a Wonderful Life.” Though, to be fair, the President seems to want entitlement checks for everybody. I’m sure Julia would approve. Obama is slick!!! He hangs around with celebrities knowing that their fans will vote for him in the next election. I got really sick to my stomach when I just saw Obama with the self-proclaimed “king of music” Bruce Springsteen screaming “vote for Obama!!!!”. Obama knows he is the darling of hollywood, Oprah, Kelly, NBC, CBS, ABC, CNN and MSNBC, and of course our favorite lesbian, Rachael Maddowand all the rest of the liberal socialist left.